The Ulysse Nardin watch brand was founded in 1846 in Le Locle, Switzerland, by young watchmaker Ulysse Nardin. At the time, and despite having established his watch factory hundreds of miles from the sea, Ulysse Nardin developed a fascination for marine chronometer watches. Ulysse Nardin was also quick in analysing that marine chronometers for men, featuring functions that went beyond simply telling the time, we're going to witness a dramatic rise in demand. 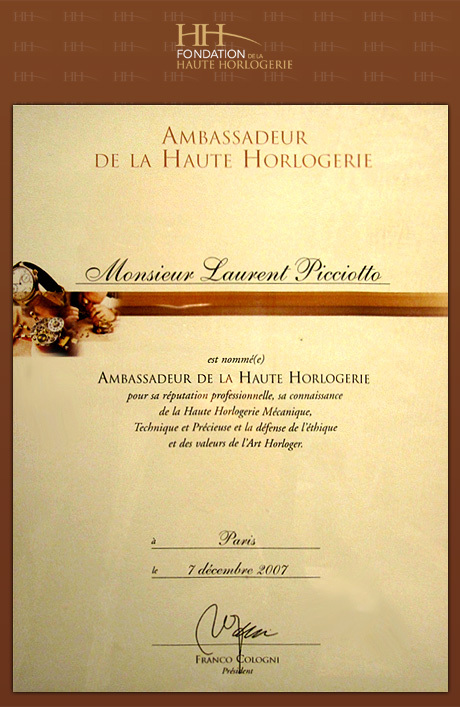 Ulysse Nardin, therefore, focused all his efforts in meeting that demand for marine chronometer watches for men, most of which were originally in stainless steel. By the 1870s, Ulysse Nardin had become a reference watchmaker, unanimously recognized for the quality and accuracy of his watches, in particular, his marine chronometer watches in stainless steel for men. Before the end of the century, over 50 navies and international shipping companies were using Ulysse Nardin marine chronometer watches. The men embarking on these ships needed watches for the dual function of telling time in a quick and accurate way, but also to facilitate the actual navigation. Ulysse Nardin watches became a part of the global luxury group Kering in 2014. 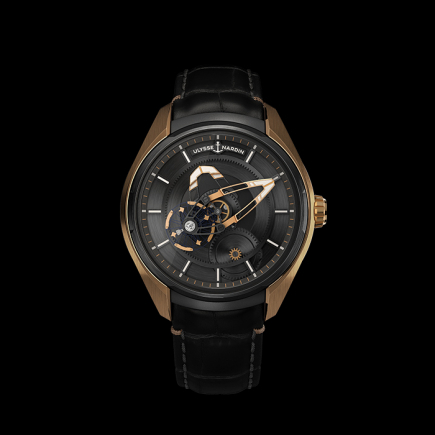 Ulysse Nardin watches has written some of the finest chapters in the history of Haute Horlogerie and today, Ulysse Nardin watches are all about cutting edge technology combined with a unique heritage from marine chronometry. Beyond the gold, stainless steel and premium leather used in the fabrication of the watches and straps, Ulysse Nardin watches are known for their usage of innovative luxury materials such as silicium. 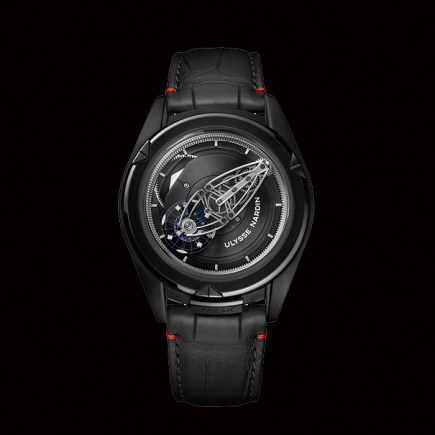 Ulysse Nardin watches showcase their avant-garde interpretation on time through five different collections: the Marine, the Diver, the Classico, the Executive and the Freak. The Ulysse Nardin Marine collection of watches pays tribute to Ulysse Nardin’s rich history with the sea. The Marine collection of watches blends technical performance and design and comprises of different families of watches such as the Chronograph watch, the Regatta watch, the Torpilleur watch, the limited edition Mega Yacht watch and the limited edition Grand Deck watch. But the Ulysse Nardin Marine collection is not only for men as it offers several very refined, diamond-set models in rose gold, such as the Marine Lady Chronometer watch. The 39mm rose gold case of this watch houses a COSC-certified self-winding movement and the view of the white mother-of-pearl dial echoes the white leather strap. Although this is a watch from the Ulysse Nardin Marine collection of watches, we cannot say this is a proper diver’s watch, but rather a watch that will always keep the executive chic lady on time. Be it for its gold watches or stainless steel watches, the Ulysse Nardin Marine collection is rich, varied, technical and colourful. The time is always displayed in a balanced and readable way, both on the chronograph watches and on the chronometer models. The price range for these Ulysse Nardin watches is broad and can oscillate between a price of CHF 7’900.- for a stainless steel Marine Torpilleur watch right up to a price of CHF 270’000.- for the 18ct rose gold limited edition Marine Grand Deck or even a price of CHF 310’000.- for the limited edition Marine Mega Yacht watch in platinum. The Ulysse Nardin watch manufacture has gained an important part of its fame thanks to the precision of its chronometer or chronograph movements. The usage of silicium is one of these high tech materials often used and mastered by the Ulysse Nardin brand, which provides the calibre with greater stability and therefore precision over time. By taking a quick view of the watch cases of Ulysse Nardin timepieces, one will also understand that high tech materials are also applied to the fabrication of watch cases, beyond gold and stainless steel. 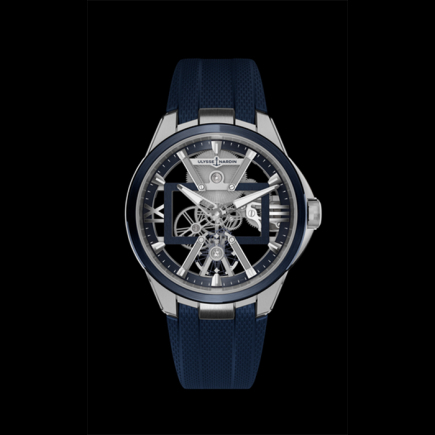 Indeed, Ulysse Nardin has invested heavily in R&D and has created for its new “X” watch from the Executive Skeleton collection a special case made out of Carbonium®. The production of Carbonium ® has 40% less environmental impact than other carbon composites as it uses offcuts from aeronautical pieces. With a complex process requiring high pressures and temperatures, Carbonium® is a high-performance material that brings out the core beauty of the organic pattern created by the 7µm diameter carbon fibers. 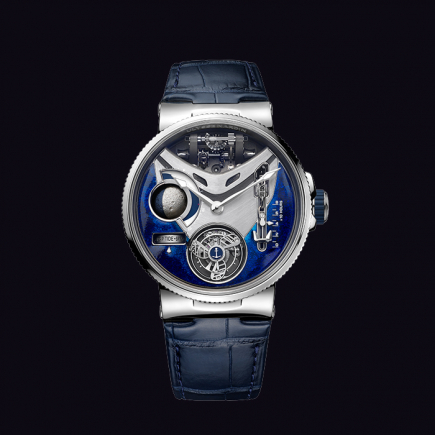 Compared to other similar watch models in the high horology segment, the price of this watch remains reasonable. The watches from the Ulysse Nardin Freak collection remain today the most powerful emblem of the Swiss watch brand from Le Locle. Even more than the Diver, Executive or Marine stainless steel or gold models, the view of the Ulysse Nardin Freak dial will leave you speechless. 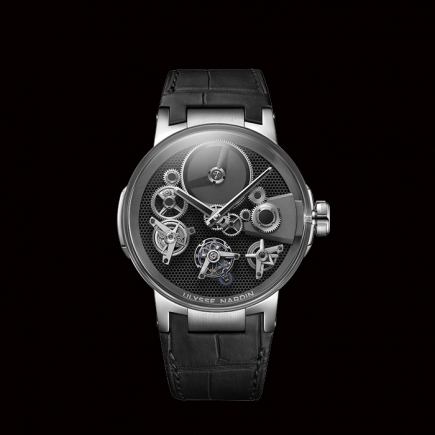 With its Freak watch, Ulysse Nardin has operated a radical transgression to the classical watchmaking codes. The men (and women) wearing the Freak will have undoubtedly fallen in love with the movement’s dual function. Indeed, the movement is the dial, and the dial is the movement. Worn on an alligator leather or a sailcloth strap, the Freak watch by Ulysse Nardin is modern and innovative, as shown by the usage of silicium for some of its escapement components.